I Had a White House Birthday Celebration This Year! This year I had another birthday to remember! I’ve mentioned before how much I enjoy having a variety of experiences on my birthdays having celebrated quietly with dear family and friends, marked my birthday pheasant hunting in California or getting my hands hennaed in India. This year, I wasn’t sure how I would spend the day. I had considered traveling to one of the few states unvisited…. but then I learned my friend Davis was working in the White House for a short time. I asked for a behind the scenes tour the week of Thanksgiving. He started going through the process to get a personal tour approved. When he asked if the 23rd would work, I may have squealed saying “it’s my birthday” in a voice I RARELY use! 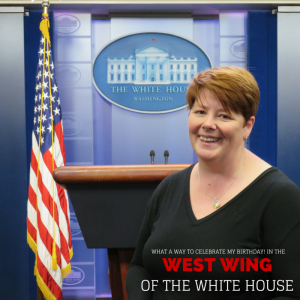 And then I bought airline tickets for DC so I could have a White House birthday! Starting my day with a bit of protein has gotten to be routine. But a DC brunch with Anastasia Bodnar and fam? Anything but routine! 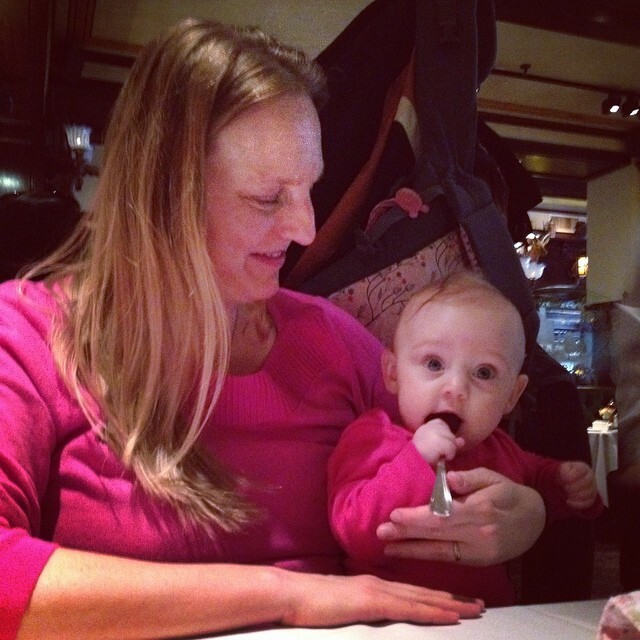 She got us reservations at the Old Ebbitt Grill…. Loved the fact they had nutcrackers guarding the doors! As I looked through the menu, I settled in on having oysters and an apple salad. Not only did I get some yummy protein, but I got lots of fruits and vegetables too! But the best thing about brunch? I had the chance to visit with Anastasia, Brandon and their dear daughter! I mean look at that sweet girl! I’m Ready for the West Wing! Yes. You read that right. 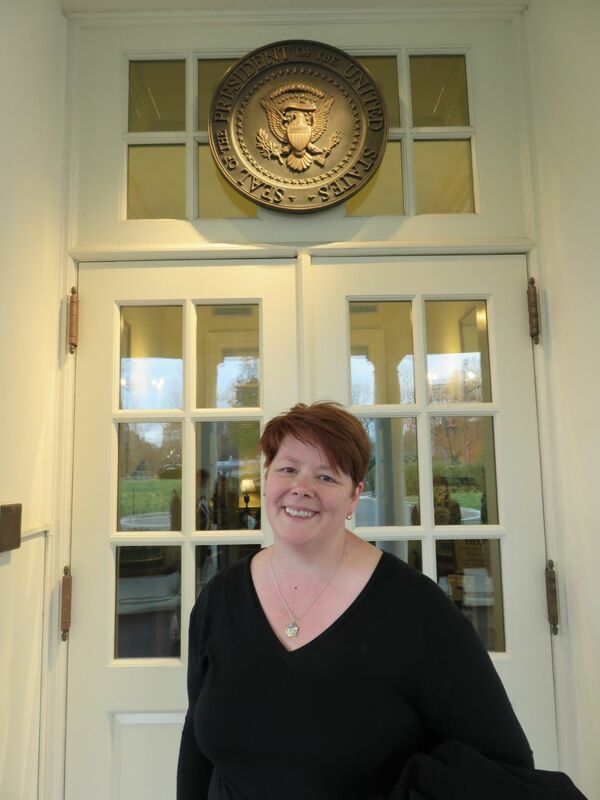 I had an appointment to tour the White House’s West Wing. THE WEST WING. How’d that happen? Several years ago I had a really brief West Wing visit that was arranged by a friend’s son. Since the President and Cabinet were in office, my tour then was basically a chance to see the press room (something that I have LONG dreamed of) and a walk through the Rose Garden to the lawn where we were able to watch as Marine 1 landed and picked up the President. When this tour got set up, I crossed my fingers and wondered what the tour would bring… Seeing the President on the grounds would be great, but I also was hoping to see some of the rooms that have been the backdrop to so many major political discussions. Either way, I’d be happy. So what did we see & where are all the photos? 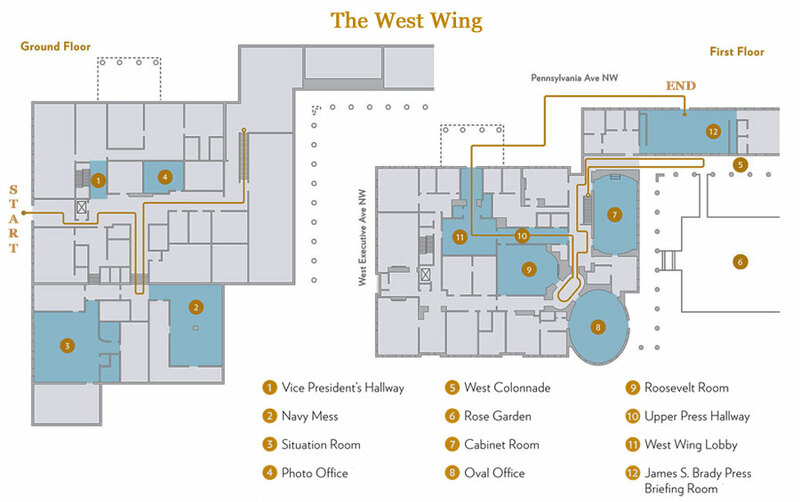 You can see a map of the West Wing Tour on the White House’s website. 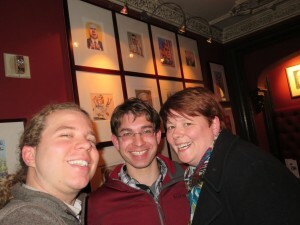 And I have included a thumbnail here that links directly to that photo. the Navy Mess where you can actually get a burger or something…. but of course they aren’t there to cook for tourists! And finally…. as you probably guessed from the photo at the top…. I did get back to the press briefing room (and photos were allowed there!). The same briefing room that was on national TV the next night as I watched events unfold in my hometown of St. Louis. 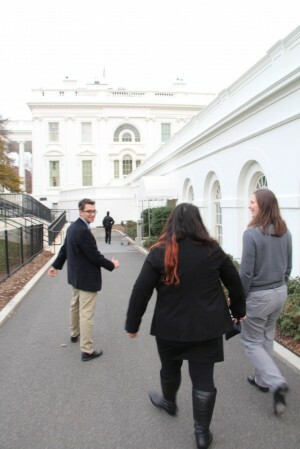 And we could snap a few shots outside the West Wing too like the one of our group headed to the press room. All-in-all the tour came and went pretty quickly, though Davis gave us a lot of interesting tips and stories along the way. It was fun hearing him talk about working here — he has been loving and relishing the experience. And for me, just taking in the photos and other artwork was amazing. As I looked at the various rooms, I remembered photos from the years… the shots White House photographers and a few journalists have shared that captured seminal moments in our nation’s history, many of them from the West Wing. I also thought about some of the TV shows and movies that have included this as a backdrop to drama and comedy. I couldn’t help but think how incredibly lucky I was to have this opportunity. And even though I only got a few photos (and folks who know me know I can take hundreds in no time at all! ), I can guarantee, the images are solidly in my mind for years to come! I think this one of me at the door to the West Wing’s lobby may be my favorite. I love that you can see the reflection of the lawn and all I also love that I was able to capture some of Davis to help him capture this experience. There is a regular tour of the White House available and requests for the standard, self-guided tour must be submitted through your Member of Congress. They are available Tuesday through Saturday mornings and are scheduled on a first come, first served basis. 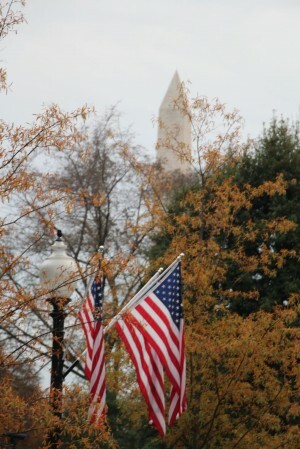 Requests can be sent in up to six months in advance with the earlier since the number of people allowed on the White House grounds at any time is limited. 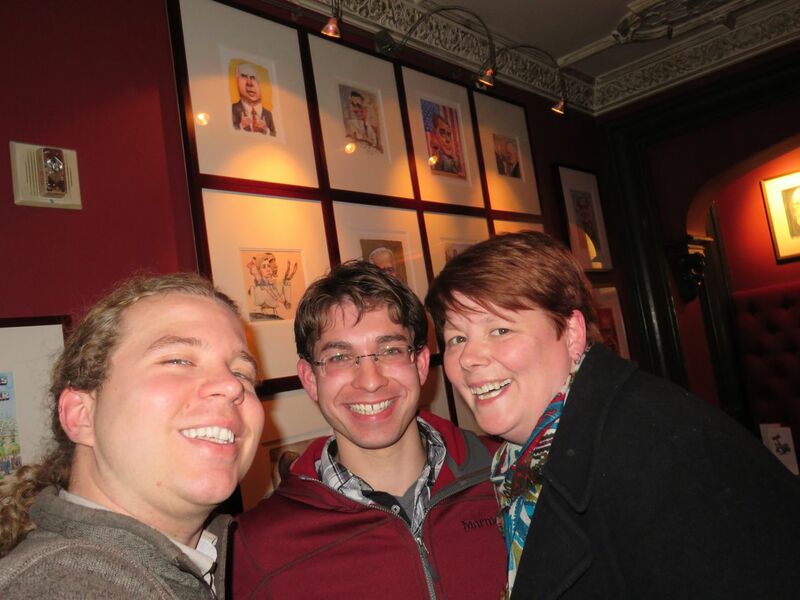 The tour of the West Wing was pretty awesome and thinking of a way to follow it up… well that was challenging but I had the chance to meet up with a couple of friends to chat about the tour, D.C. generally, photography, international travel, molecular biology, millennials & media and more! Lots of laughs, good drinks and nibbles and a general relaxing way to wind down. No doubt, this was a great way to mark my birthday! Can’t wait to see what I come up with for next year. Got suggestions? We were able to take the tour this past August. I was AMAZED at how small everything really was! We also were able to see what we now call “The official presidential rat”…while touring the Rose Garden a rat ran across the path! I loved all the photos too. Such a fun experience and what a great birthday present! That is awesome and you are right… I think the hallways, rooms, everything was so much smaller than I expected!